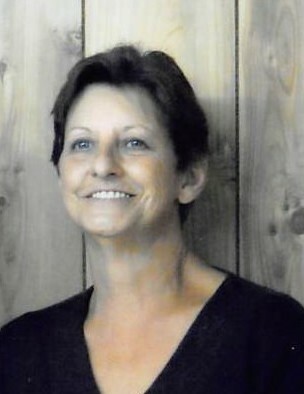 Sharon Tipton Lewis, 64, of Old Fort, passed away Thursday, October 11, 2018, along with her companion and best friend of 30 years, Billy Lawing, from injuries received in an automobile accident. A native of Yancey County, she was a daughter of Pearl Briggs Tipton of Green Mountain and the late Jule Tipton. Sharon was a retired employee of Baxter Health Care. She loved life, and all of its beauty, gardening, quilting and spending time with her family. Surviving, in addition to her mother, are daughters: Tonya Lewis Wilson and Sonya Gladden and husband, John; sons: Michael Lawing and Billy Lawing and wife, Wanda, all of Marion; grandchildren: Erica Whitfield and Leiah Tallent; 3 great grandchildren; and 1 soon to be; a sister: Mary Ann Caridas of Valdese; 2 brothers: Leonard Tipton and Patrick Tipton and wife, Audrey, of Green Mountain; several nieces and nephews; and, a special friend: Karen Reid. Funeral services will be held at 3PM Sunday in the Chapel of Holcombe Brothers Funeral Home. Rev. Scott McIntosh will officiate. Burial will be in the Fairview Cemetery at Horton Hill. The family will receive friends from 1 until 3PM prior to the service at the funeral home.